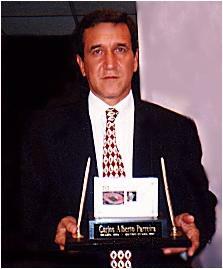 Carlos Alberto Parreira - World Cup Winning Coach. 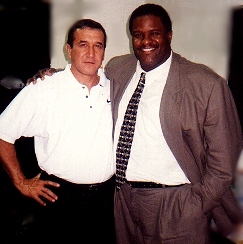 Carlos Alberto Parreira "World Cup Winning Coach"
Carlos Alberto Parreira made history again this year when he was commisioned to lead the Saudi Arabia National Team intoWorld Cup 1998.. The previous coach of Brasil's 1994 World Cup Champion team is one of only two coaches ever to have led four (4) different countries into a World Cup, the other coach being Bora Multinovic. Coach Parreira actually began his association with Brazil's national teams in 1970 when he served as the physical preparation manager when Brasil won the World Cup in Mexico. In 1982 he was head coach of the Kuwait National Team. Then, in 1990, he led the United Arab Emerates into the World Cup. On the club level in his native Brasil, he coached Fluminense, winning the Brazilian Championships in 1984. 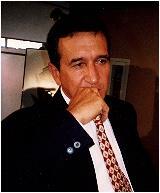 In December of 1996, Coach Parreira arrived in the US to coach the MLS league team Metrostars until opting to coach Saudi Arabia at France98. Upon his arrival we met with him, and presented him with an acrilic block containing preserved turf from World Cup 1994. Over a period of time we would have an opportunity to chat with him briefly after practice session or after games. Below, Coach Parreira shared with us, his unique experience of coaching Brasil's World Cup winning team. Q: What was it like coaching a World Cup level team like Brazil's? A: It's not an easy task as you can imagine. Each team tends to have it's own personality. In 1994 coaching a team with many highly talented players, one of my tasks was to encourage the players dissolve egos and personal differences and to practice and play as one unit. We actually did not have much of a problem in that regard as the team was focused with one goal in mind. Also, in 1994, there was a tremendous amount of pressure partly due to our not winning a World Cup in 24 years. It seemed as if people were demanding a victory. That's another thing, because your team has won the World Cup, people expect you to always win. With the constant travel and expectation to win, the pressure is enormous. This is the thing that people don't see, the tremendous sacrifice that must be made to remain at the top of the game. It's really not as glamorous as most people think. Q: Is it true that the players wifes were excluded from the training camp? A: Yes that's true. For the 60 days of our World Cup preparation, no wifes or girlfriends were allowed into the training camp.We wanted to keep distraction to a minimun while increasing our focus. The wives and girlfriends were quite understanding, in fact, very few of them traveled to the US during the competition itself.. This was not however our only concern prior to the games. We tried to plan ahead and make arrangements with hotels so that the players could immediately go to their assigned rooms without a check-in period. Transportation between venues was taken care of as we had our own chartered aircraft. Even our meals were carefully plasnned and prepared to ensure that the players received adequate nutrition. Q: How does coaching a league team differ from the national team? A: It's pretty obvious. As the stakes are much higher in a national or world competition, the level of physical conditioning must be greater. There is also a mental pressure involved in a World Cup. The players must not become overwhelmed with the title or perceived magnitude of the competition. This however is something which is ususually gained through experience. Q: Again speaking about league teams and the Metrostars in particular, how will your training method differ from the training given to the Brasilian World Cup Team..
A: As stated before there are differences in levels of play on the league and world level. partly due to the rules. However my goal will remain the same; that is to maximize the abilities of the players in order achieve successful results. There will be an emphasis on ball control. As you are aware, a team which cannot hold the ball usually cannot dictate the flow or rythm of the game. Q: As our magazine focuses on playing surfaces, will you coaching methods differ to accomadate playing some of your games on an astroturf surface? A: Over the years, I have coached teams on several types of surfaces. We will make adjustments in training where needed but I don't see a problem in adjusting our game to accommate a astroturf surface. Q:During the World Cup Brasil played against Sweden to a 1-1 tie indoors on a temporary natural grass surface at the Silverdome. What is your opinion of that playing surface as well as the surfaces in general of America's first World Cup. Also which grass surfaces world-wide would you give the highest marks? A: The surface at the Silverdome was an excellent one as were the other stadiums of the competition. The Rosebowl grass surface in California was very good, by that I mean uniform in it's surface. You must remember also, America has the financial resources to produce the quality playing surfaces and stadia that are necessary for major sport events including World Cup. However, with regard to stadiums surfaces in general I would have to rate Wembly in England as one of the finest. There is another stadium which is excellent and it's in a place you've probably never heard of Jerry. Q: Okay well let's talk a little more about international competition. Was Brasil surprised to have been bested by Nigeria at the past Olympics. And, what is your opinion of the African futbol program in general in relation to there quest for a World Cup title. A: Well, I think it was a surprise for us to have lost to Nigeria at the Olympics. Our players certainly had more experience and as a consequence were expeted to win. However all national teams are improving as a whole not only Nigeria. The world is becoming a smaller place as players constantly criss-cross continents to play for league teams. With regard to African program and the World Cup, I believe that African teams have improved vastly over the years for the reason stated. As a result, I truly believe that is it possible that an African team will win the World Cup within the coming century.  Main Page | Soccer Sites | Store | E-Mail | ADD YOUR LINK!